The Wellness Score (Wellness Diabetes Risk Score) is an assessment tool which aims to identify individuals with impaired glucose regulation (IGR) and is designed to predict an individual’s risk of developing diabetes within the next ten years. The risk assessment is evidenced-based and consists of seven questions. It uses a points system to identity if a person is at low, moderate, or high risk of developing diabetes. Based on this score, appropriate advice is provided in the form of lifestyle changes or a diabetologist referral. The following assessment tool will instantly calculate your BMI on the basis of two of the seven questions of the Wellness Score. 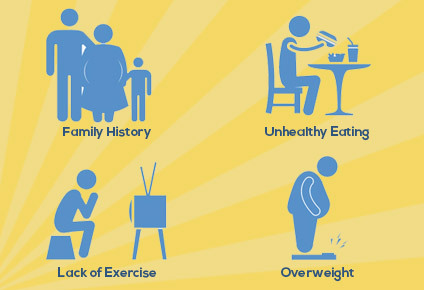 Your body mass index (BMI) can give you an idea of a healthy weight range for you. After you submit the form, our experts will work on a detailed Wellness Score Report and email you the same. Your BMI is below 16. You are severely underweight. Your BMI is between 16 and 18.5. You are underweight. Your BMI is between 18.5 and 25. You are normal. Your BMI is between 25 and 30. You are overweight. Your BMI is above 30. You are obese.